It's a bountiful Peach season! The 2018 PEACH SEASON HAS COME TO AN END. Thank you for purchasing your peaches at Ridgetop Orchards! See you at The Porch Store for fall apples! You can still come taste the juicy sweetness of summer! Our Peach Cider has sold out for the season, but you can stop by the porch to try our signature Peach Salsas and Peach Butter - available throughout the year. Do you still have some peaches to process? See below for some recipes and storage tips. Did you know? 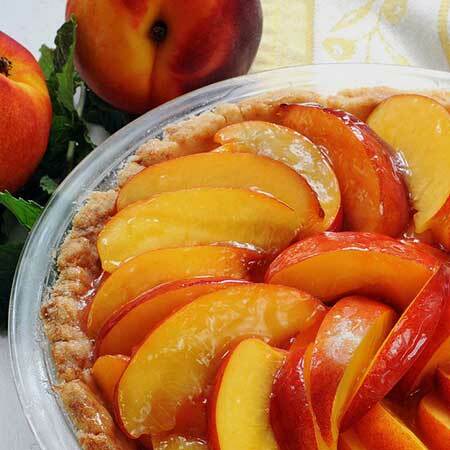 … you can make an easy freezer peach pie! Click here for recipes and a storage tip.